Wow! 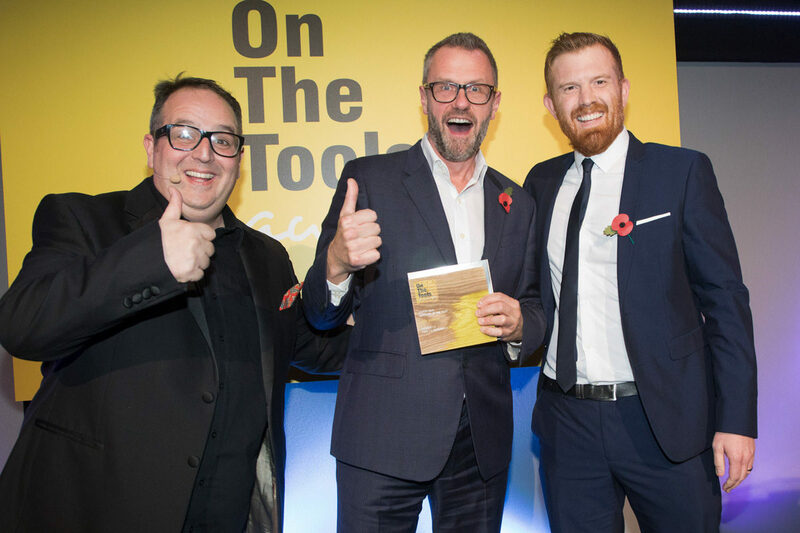 Last Friday evening at the ‘On the Tools’ awards ceremony in the Emirates Stadium, we were announced as the winner of ‘Power Tool Supplier of the Year’. Axminster’s Martin Brown (centre) jubilant at receiving the award from comedian/actor Justin Moorhouse (left) and Tony Munro (right) of sponsors Jewson. Image is courtesy of Don’t Panic and Barney Newman Photography. ‘On the Tools’ describes itself as the largest online construction community in the UK. Construction workers throughout the country nominated their favourite brands and companies for this year’s awards. A panel of judges then considered the nominations and narrowed them down to a shortlist of the best companies. The shortlisted companies then went forward to the final stage, with the outcome being decided by votes from the general public. 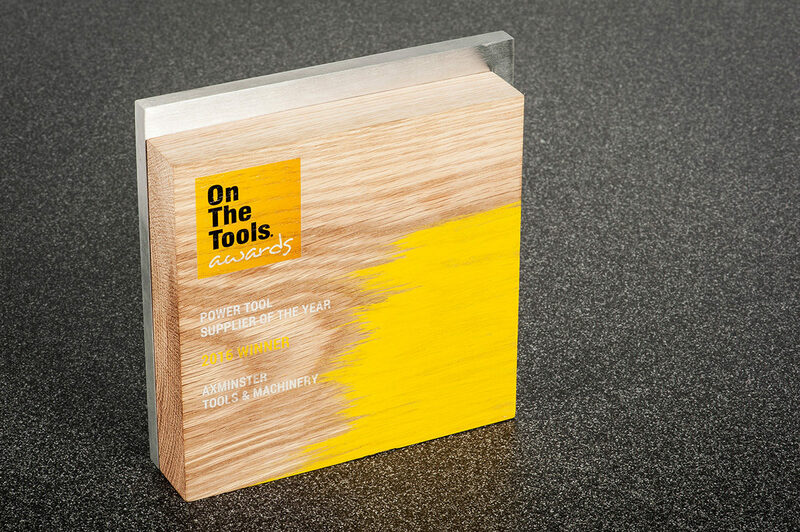 ‘Power Tool Supplier of the Year’ award. In our category, we were competing against Screwfix, Toolstop and ITS. We would now like to say a huge ‘thank you’ to everyone out there who voted for us and made us their ‘Power Tool Supplier of the Year’. Here is a full list of the winners of all categories.